Years ago, shoemaking was a family business handed down from one generation to the next. 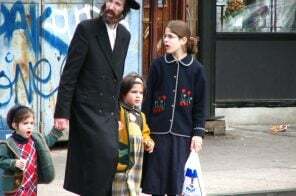 And while there may not be as many old school shoemakers practicing their craft in the city today, there is the Wasserman family and their Upper West Side shoe store. 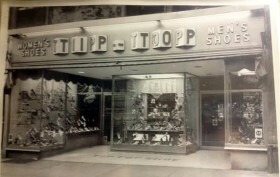 Tip Top Shoes, located on 72nd between Amsterdam and Columbus, has been taking care of New York’s footwear needs since it first opened in 1940. Although the Wassermans are not the original owners, it’s been in the family since Danny Wasserman’s father purchased the store fifty years ago, continuing a family tradition that began in Europe. When Danny began working alongside his father, he was the third generation in the shoe business. His son and daughter are now the fourth. Together, Danny and his children are making sure customers have access to both classic shoes and the latest trends. Wearing a pair of Birkenstocks I purchased at Tip Top Shoes, I met with Danny to learn more about the family business.